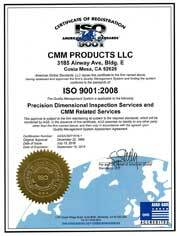 Let CMM Products help you with expert repair, calibration and maintenance. We are an ISO 9001:2008 registered company as well as ISO 17025:2005 accredited. 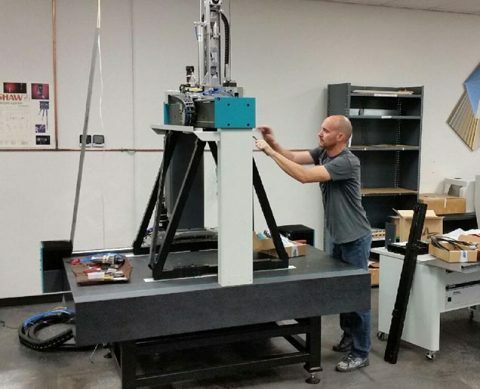 All types, brands and styles of coordinate measuring machines, and portable arms, can be calibrated by our field service engineers to the highest level of system accuracy and repeatability traceable to NIST standards. or filling out our on-line form. CMM Products is an authorized Renishaw Dealer and Certified Renishaw Retrofitter. We offer Repair by Exchange and Advanced Repair by exchange for your Renishaw Probe services. Contact us for details.